Celebrate Reading with Magic and Music because Reading Rocks! 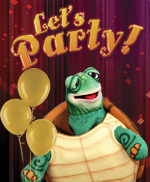 Steve is having a party and YOU are invited to celebrate! Looking for a fun way to celebrate reading at your school or library? Do you need an exciting kick-off event to promote learning and success? Or perhaps a highly entertaining reward program? Either way, Celebrate is sure to be a hit. Just imagine a fast paced, high energy program including amazing tricks, puppets, music and tons of audience participation. And this is just the beginning. When you invite Steve to host this incredible party at your school or library, your students will be talking about it for weeks, not to mention all the books they will want to read. Steve highlights a fun assortment of contemporary and classic books during the celebration. So come on . . .let’s party! Throughout the 45-50 minute presentation Steve recognizes ordinary people who accomplished extra-ordinary things. Together, students and teachers, will celebrate achievement and perseverance. Tucker Turtle joins the celebration as he shares his experience in the classic story: “The Tortoise and the Hare.” Listen and laugh as Tucker weaves his twisted version of this well known tale. Plus, hold your side, while Tucker comes out of his “shell” with his own unique brand of humor. There is nothing slow about this turtle. The Celebrate show creatively combines education and entertainment resulting in magical edutainment! The plot of the show is a party to celebrate reading, learning and achievement. Students discover how to “Read to Achieve!” Steve makes reference to many classics as well as a few award winning books. 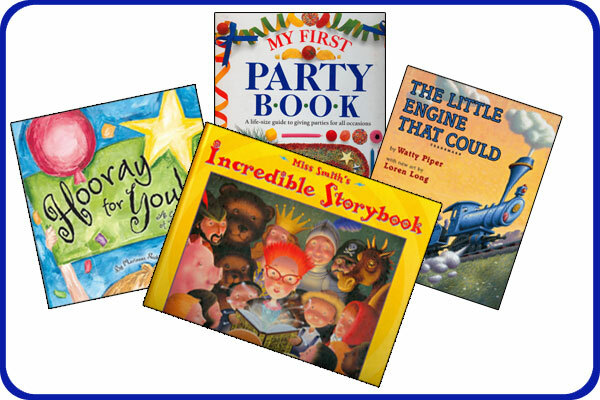 The theme of the Celebrate show is built on the premise that reading leads to success. No matter who you are, when you believe in yourself and read to achieve . . .anything is possible. The show concludes when a volunteer from the audience becomes the star. They actually makes a table float in the air. A great “Kodak Moment”! Have you ever wanted to really pull a tablecloth out from under some dishes without disturbing a plate or breaking a dish? Well that’s what Steve does during the Celebrate show. 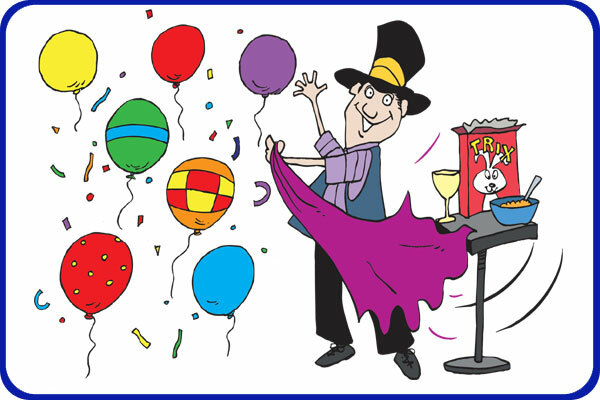 And as if that is not enough, he shares the secret to this stunt in his latest book: Let’s Party! Amazing Tricks and Stunts. Don’t miss it! Celebrate reading and schedule this show now! Take a peek at some video clips from the Celebrate show. Celebrate is our most popular show. More schools schedule it than any other show. 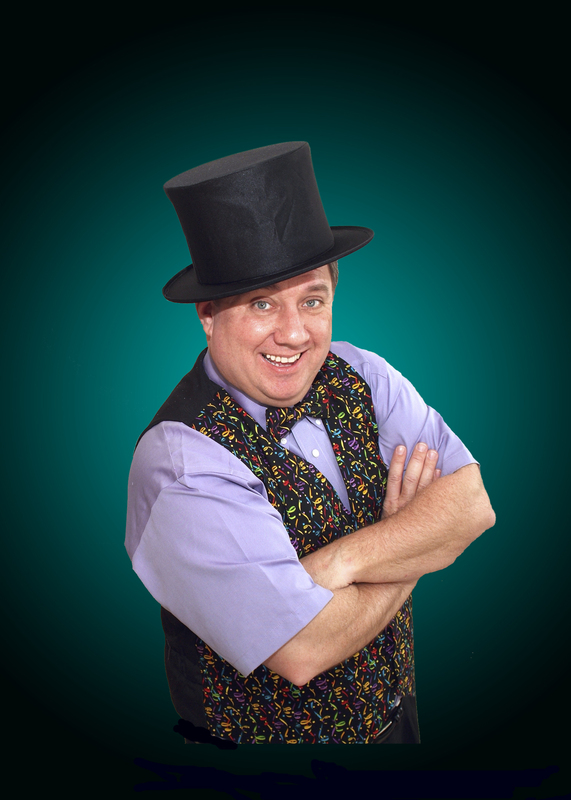 In fact, it is so popular, Steve created a brand new show to celebrate reading called: Fizz, Boom, Read: It’s Magic!